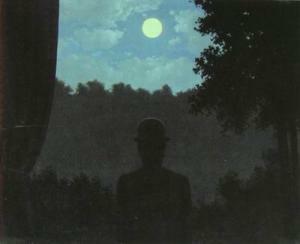 Last week I went to see René Magritte: The Pleasure Principle at the Tate in Liverpool. 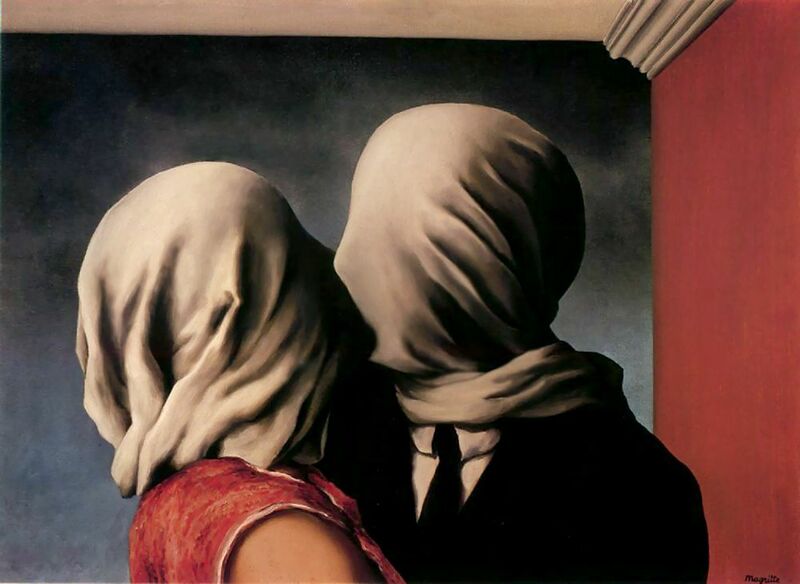 The exhibition gathers together over 100 of Magritte's paintings alongside drawings, collages, examples of his commercial work, photographs and films. 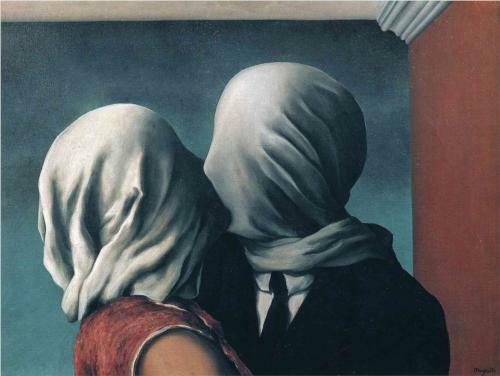 I'm not always drawn to Magritte's paintings in the same way I am to the work of some of the other Surrealists, so I could pass a wall full of his paintings before I stood before one that really nudged at something inarticulable in my mind. But when that did happen it was wonderful. This is an exhibition of repetitions. The paintings are grouped thematically and at times this diffuses the strength of the images, but I'm not sure what else the curators could have done with the work of a man who repeated and copied his images throughout his career. Standing in the room of the ubiquitous bowler-hatted man it felt as if they might have rained from the sky as they do in Golconda. In another room the repetition of 'Ceci n'est pas' caused me to write in my notebook 'this is not a pipe, this is not an apple, this is not a pipe, this is not a pipe, oh, but this is cheese'. There were two occasions, though, where the repetition really worked for me: The Flavour of Tears — a painting and its double — were hung strikingly, side by side, in a small red-walled room. These two portrayals of a bird that is also a leaf being eaten by a caterpillar are nearly identical, apparently down to the inscriptions on the back. I'd seen an Empire of Light painting a few years ago in the Guggenheim in Venice and I remember being pulled towards it. Here, there is the chance to see several from the series in the same room, which suggests a continuation of the nighttime streets beneath daylit skies that made me feel as though I could walk along the cobbles in that strange town. For its title and for the paper screen in its fourth compartment, which I was desperate to see behind. Intriguingly, in my memory and in my notes this showed an interior room, a café or a living room, with a table and stools, a painting on the wall and an extrinsic street lamp. I'd taken the behatted man out of it. Because it shows a naked woman casting the shadow of a flying bird on a wall and I'm a sucker for anything that hints at bird transformation. Never have I felt so suffocated by the perfume of a painting. One of Magritte's petrified paintings; a room of stone, with stone french windows opening on to a rock face, a stone planked floor, stone table and chairs. It was the weight of the folds in the stone tablecloth that got to me most. From across the room this looked like a passionate kiss, but up close I couldn't decide whether the kiss of the shrouded couple was perfunctory or desperate as they tried to find an intimacy that would always evade them. I wrote, rather cheerily, in my notebook 'We are always alone'.